Jackson Pollock was born on January 28, 1912 in Cody, Wyoming. His father, LeRoy Pollock, was a farmer and a government land surveyor, and his mother, Stella May McClure, was a fierce woman with artistic ambitions. The youngest of five brothers, he was a needy child and was often in search of attention that he did not receive. During his youth, Pollock's family moved around the West, to Arizona and throughout California. When Pollock was 8, his father, who was an abusive alcoholic, left the family, and Pollock's older brother, Charles, became like a father to him. Charles was an artist, and was considered to be the best in the family. He had a significant influence on his younger brother's future ambitions. While the family was living in Los Angeles, Pollock enrolled in the Manual Arts High School, where he discovered his passion for art. He was expelled twice before abandoning school for his creative pursuits. In 1930, at age 18, Pollock moved to New York City to live with his brother, Charles. He soon began studying with Charles's art teacher, representational regionalist painter Thomas Hart Benton, at the Art Students League. Pollock spent much of his time with Benton, often babysitting Benton's young son, and the Bentons eventually became like the family Pollock felt he never had. During the Depression, President Franklin D. Roosevelt started a program called the Public Works of Art Project, one of many intended to jumpstart the economy. Pollock and his brother Sanford, known as Sande, both found work with PWA's mural division. The WPA program resulted in thousands of works of art by Pollock and contemporaries such as José Clemente Orozco, Willem de Kooning and Mark Rothko. But despite being busy with work, Pollock could not stop drinking. In 1937, he began receiving psychiatric treatment for alcoholism from a Jungian analyst who fueled his interest in symbolism and Native American art. In 1939, Pollock discovered Pablo Picasso's show at the Museum of Modern Art. Picasso's artistic experimentation encouraged Pollock to push the boundaries of his own work. 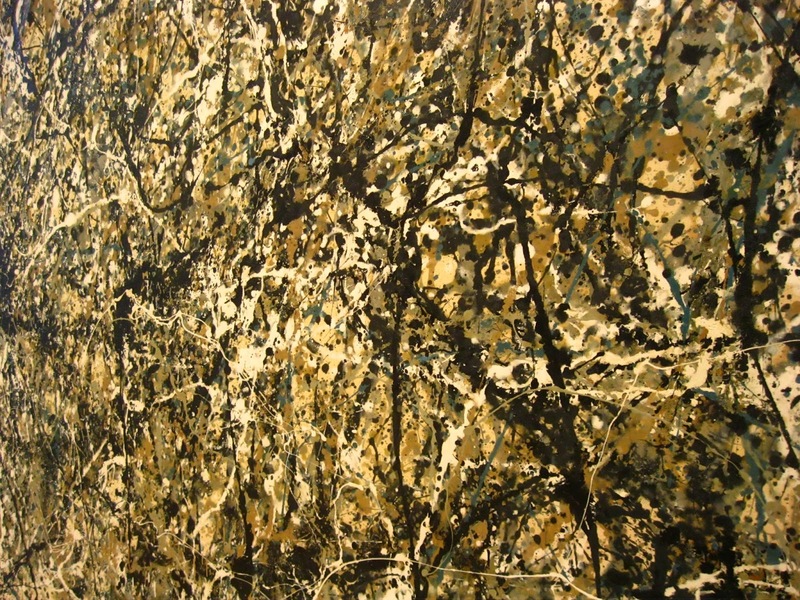 Pollock's most famous paintings were made during this "drip period" between 1947 and 1950. He became wildly popular after being featured in a four-page spread, on August 8, 1949, in Life magazine. The article asked of Pollock, "Is he the greatest living painter in the United States?" The Life article changed Pollock's life overnight. Many other artists resented his fame, and some of his friends suddenly became competitors. 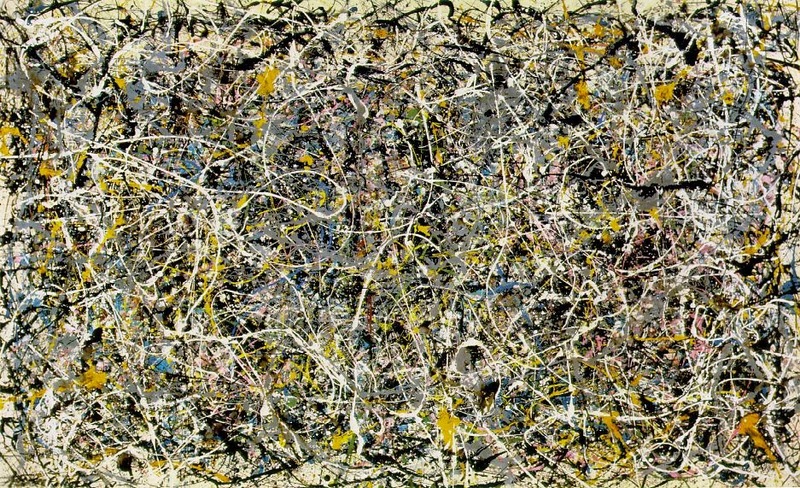 As his fame grew, some critics began calling Pollock a fraud, causing even him to question his own work. During this time he would often look to Krasner to determine which paintings were good, unable to make the differentiation himself. In 1949, Pollock's show at the Betty Parsons Gallery sold out, and he suddenly became the best-paid avant-garde painter in America. But fame was not good for Pollock, who, as a result of it, became dismissive of other artists, even his former teach and mentor, Thomas Hart Benton. Furthermore, acts of self-promotion made him feel like a phony, and he would sometimes give interviews in which his answers were scripted. When Hans Namuth, a documentary photographer, began producing a film of Pollock working, Pollock found it impossible to "perform" for the camera. Instead, he went back to drinking heavily. 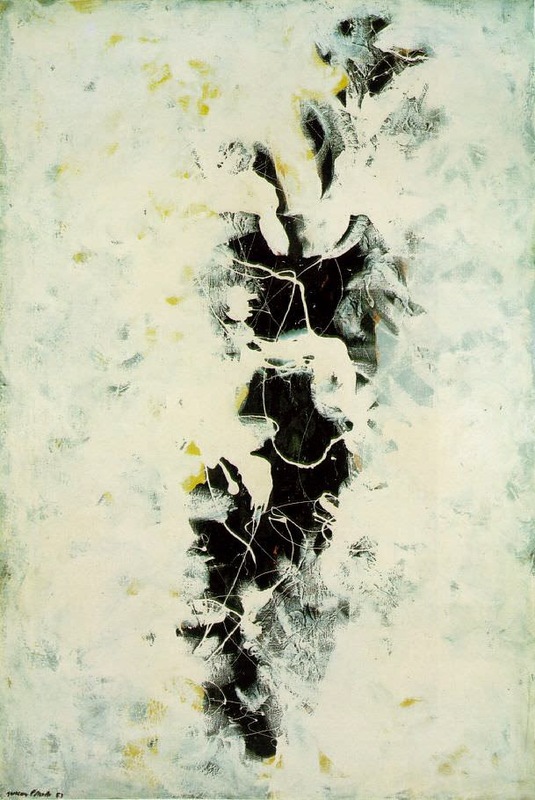 Pollock's 1950 show at the Parsons gallery did not sell, though many of the paintings included, such as his Number 4, 1950, are considered masterpieces today. It was during this time that Pollock began to consider symbolic titles misleading, and instead began using numbers and dates for each work he completed. 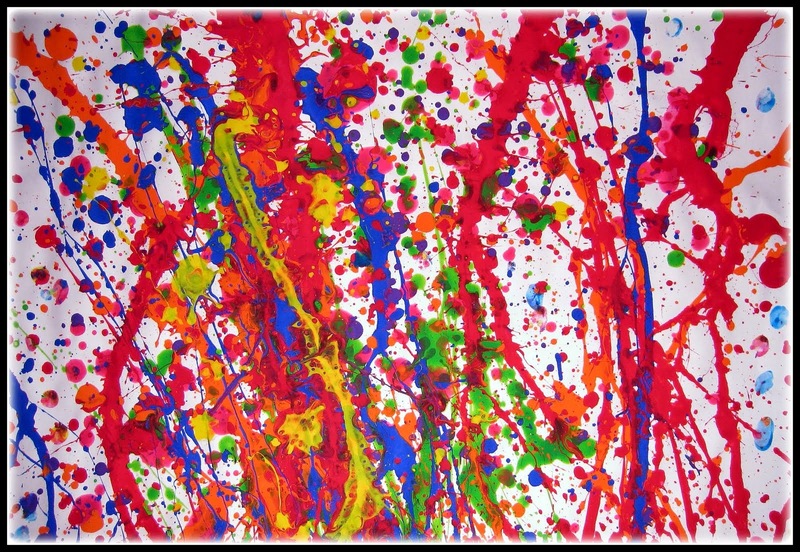 Pollock's art also became darker in color. He abandoned the "drip" method, and began painting in black and white, which proved unsuccessful. Depressed and haunted, Pollock would frequently meet his friends at the nearby Cedar Bar, drinking until it closed and getting into violent fights. Concerned for Pollock's well-being, Krasner called on Pollock's mother to help. Her presence helped to stabilize Pollock, and he began to paint again. He completed his masterpiece, The Deep, during this period. But as the demand from collectors for Pollock's art grew, so too did the pressure he felt, and with it his alcoholism. Overwhelmed with Pollock's needs, Krasner was also unable to work. Their marriage became troubled, and Pollock's health was failing. He started dating other women. By 1956, he had quit painting, and his marriage was in shambles. Krasner reluctantly left for Paris to give Pollock space. Krasner returned from France to bury Pollock, and subsequently went into a mourning that would last the rest of her life. Retaining her creativity and productivity, Krasner lived and painted for another 20 years. She also managed the sale of Pollock's paintings, carefully distributing them to museums. Before her death, Krasner set up the Pollock-Krasner Foundation, which gives grants to young, promising artists. When Krasner died on June 19, 1984, the estate was worth $20 million.